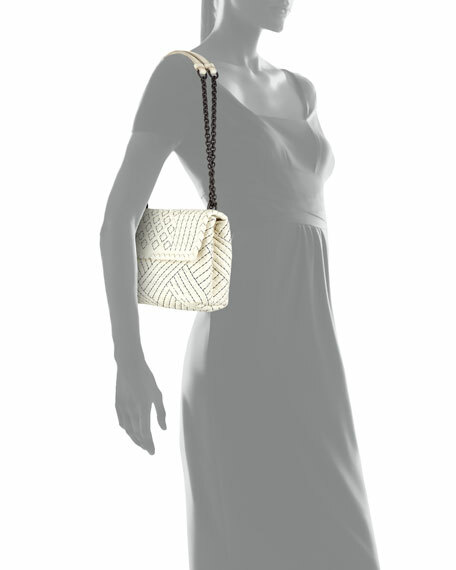 Bottega Veneta signature intrecciato woven lambskin shoulder bag. Leather shoulder strap with chain insets, 12.5" drop. 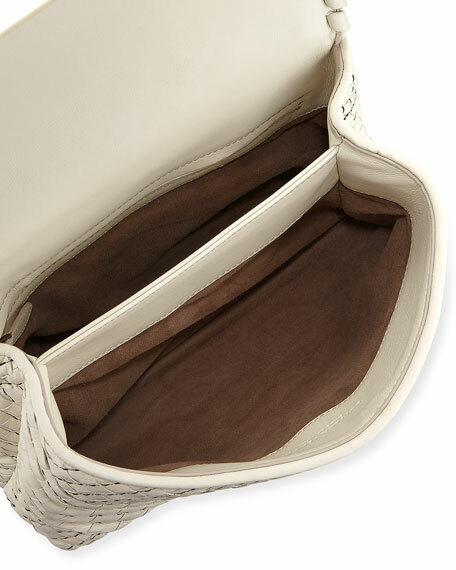 Interior, suede lining; one zip and one slip pocket. 6.6"H x 9.8"W x 2.9"D.
"Olimpia" is made in Italy. For in-store inquiries, use sku #1887052.